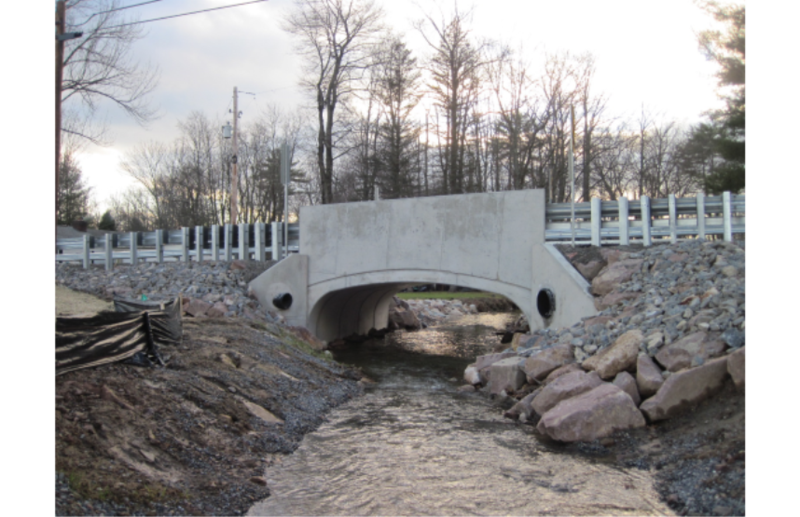 This project replaced a bridge on Shaffer Path. 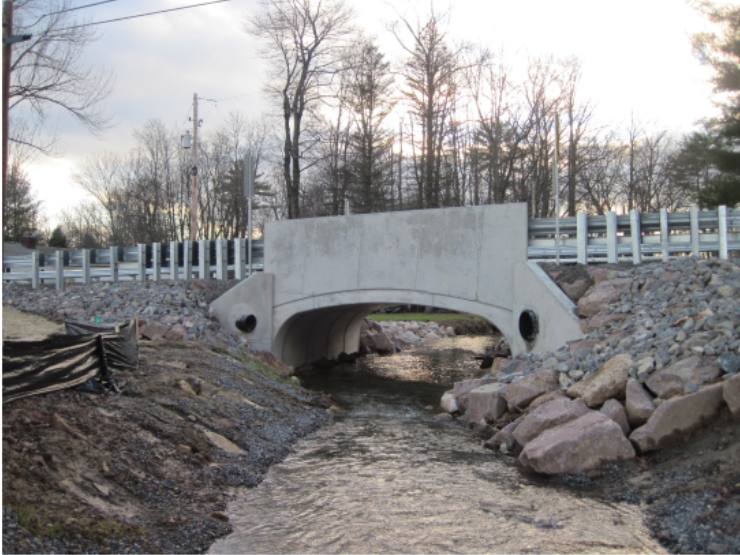 The new structure is a 27’ long x 10’ high x 16’ span precast concrete arch bridge that was pre-manufactured by CONSPAN. The entire structure was made of precast concrete. 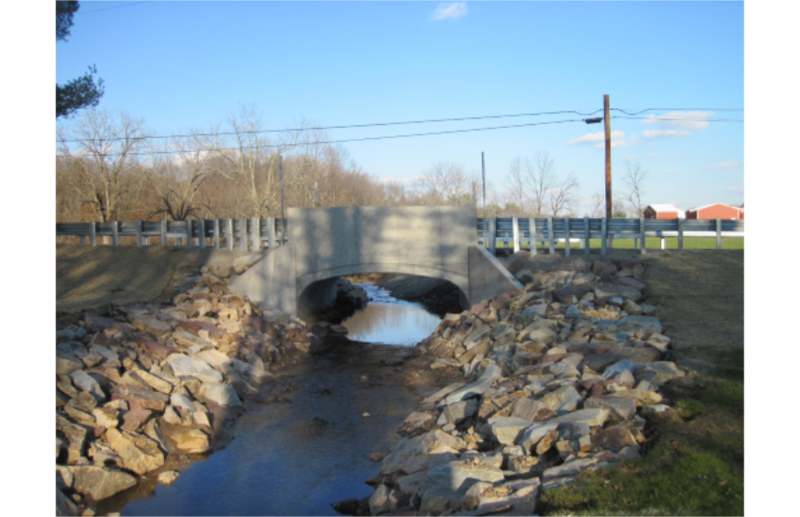 The bridge was constructed in three weeks. 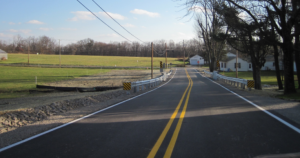 New approach guiderails were installed at all four bridge corners. 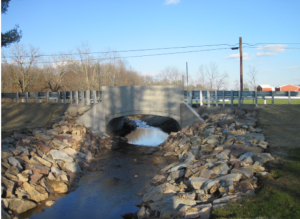 The arch has an open bottom leaving the natural stream bed undisturbed. 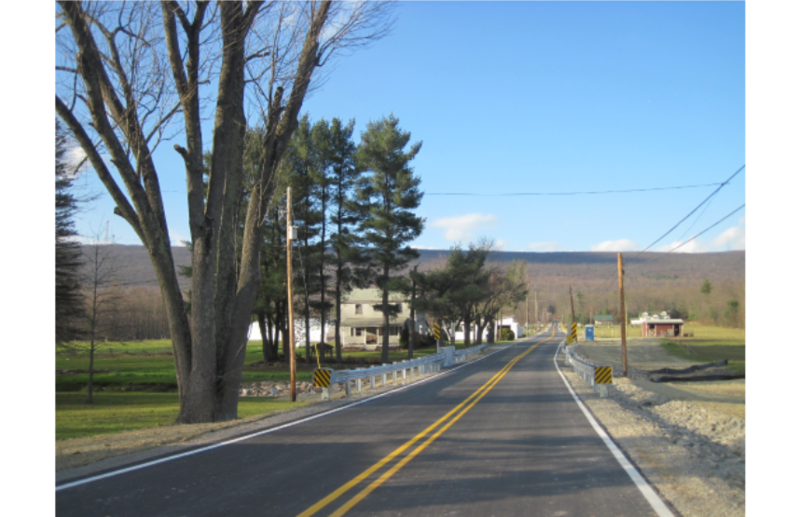 Additionally Shaffer Path received a full depth reclamation from a severely deteriorated, single access lane with water ponding, cracking and settlement into a new two lane paved municipal roadway. Driveway aprons and guiderails were replaced. New stormwater pipe and inlets were installed and connected to a new drainage swale system. 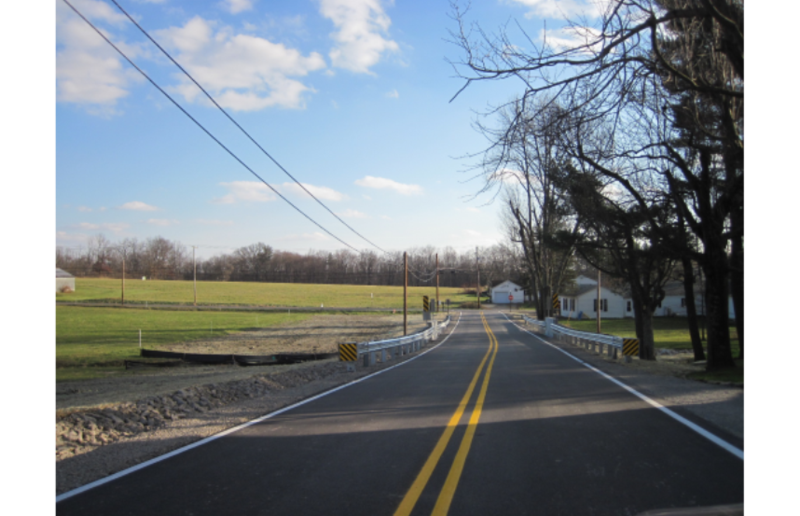 Paving section consisted of 2A subbase, warm mix base asphalt and warm mix surface asphalt. Construction was completed in three weeks. Engineering included obtaining a DEP General Permit GP-11, design, bidding and construction phase engineering.